The government has prepared a detailed dossier of debt owed by Iraq, amounting to a billion dollars, and the file will top the priorities of the debt talks to be conducted by the ministerial delegation headed by Jordan Eagles, which begins on Wednesday. KUWAIT, Dec 11 (KUNA) — Leaders of the Arab Gulf states welcomed Wednesday Iraq’s compliance with UN resolutions related to border signs’ maintenance, as well as referral of Kuwaiti prisoners, missing persons and property to the UN mission in Iraq. Iraq’s government is not doing enough of the fragile efforts to support investment and foreign companies, which face a constant battle against corruption and bureaucracy, as experts say. BAGHDAD – Iraq Press – November 2 / November: organized by the Faculty of Law at the University of Mesopotamia seminar Almahan legal consequences of the withdrawal of Iraq from Chapter VII, with the participation of researchers from various Iraqi universities. 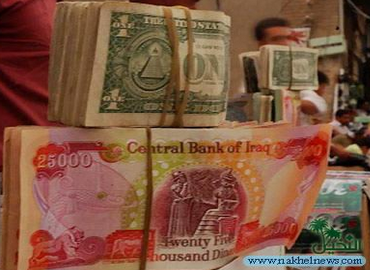 The Finance Committee, unveiled Wednesday, that 2014 will delete the zeros of the Iraqi currency, indicating that deleting will be in coordination with the Central Bank. Iraq granted Jordan a financial assistance of USD (25) million in from of crude Oil amounts.